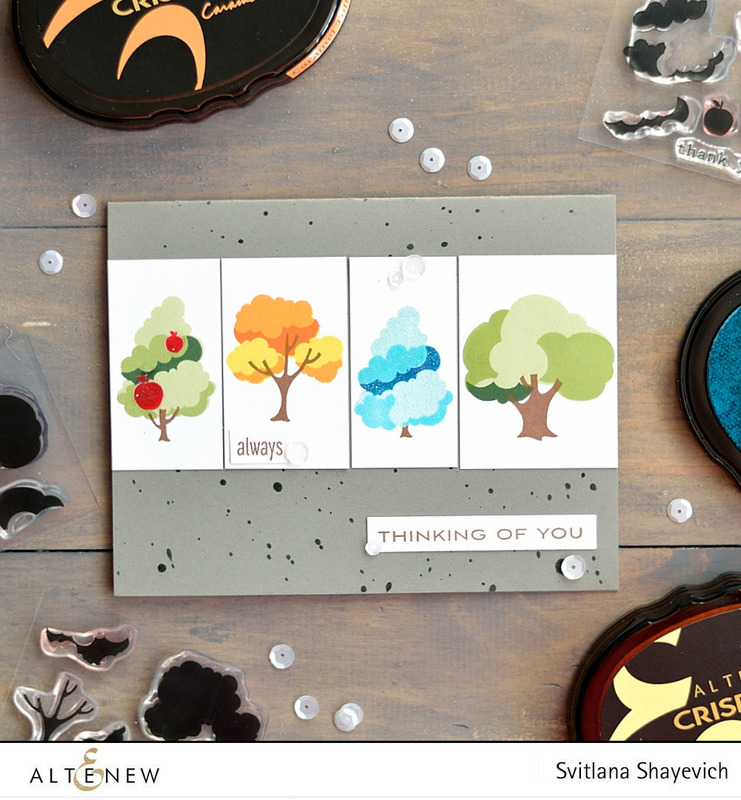 Today Altenew is launching two kits: a beginner stamping kit and an advance stamping kit, plus 3 mini 2×3 stamps sets. Three stamp sets: Painted Butterflies, Painted Flowers and Label Love. 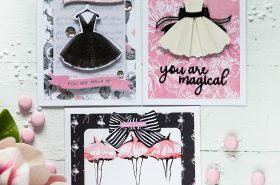 An Idea Guide containing 6 card ideas that can be replicated using the products in the kit. Five stamp sets of choice: 2 6″ x 8″ and 3 4″ x 5″ stamp sets. Four large ink pads of choice. Two antique trims of choice. I made a card using new mini stamps. When I got these my first thought was to make these tree seasonal. Which I made for this card. Hope you like my card. Aren’t there trees adorable? I love that they’re so small and like the style of highlights. I really love your card! Those mini stamps are so cute! Oh, these trees are all so sweet! I love how you used all of them on one card! What a brilliant idea! Looks really wonderful! Спасибо, Даша! А я вот наоборот люблю побольше. Правда конечно хранить их.. и цена.. Хорошо, когда есть полноценный маленький вариант.